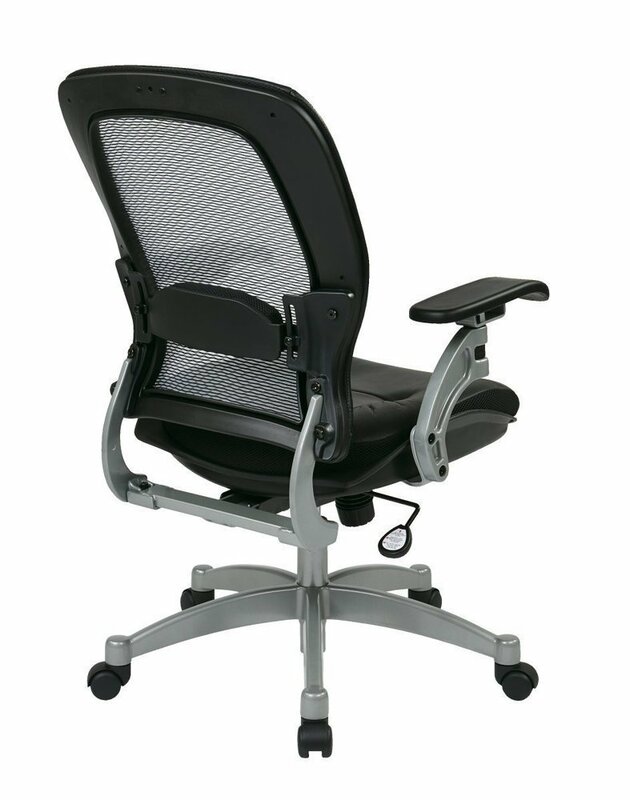 Professional Light AirGrid® Chair with Leather Seat and Platinum Finish Accents. 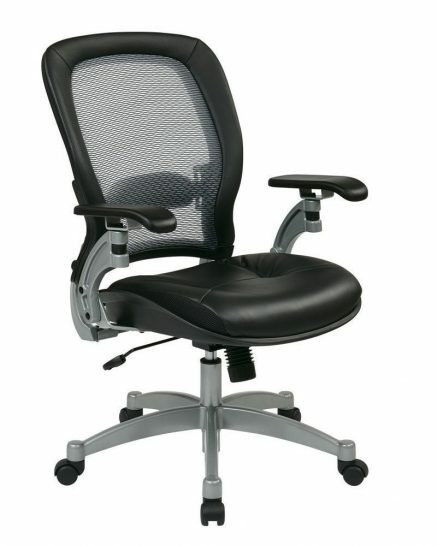 Thick Padded Contour Leather Seat and AirGrid® Back with Adjustable Lumbar Support. 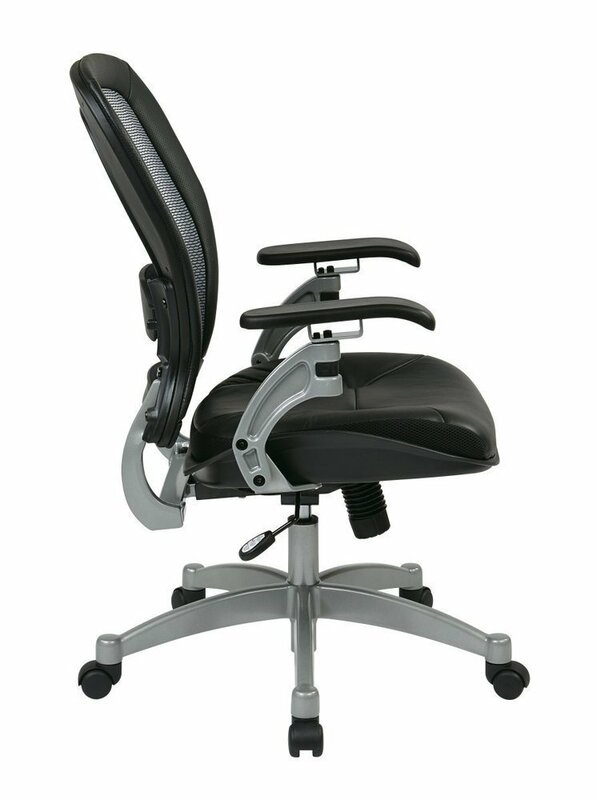 V-Back Support, One Touch Pneumatic Seat Height Adjustment. 2-to-1 synchro Lilt Control with Adjustable Tilt Tension. Top Grain Leather. Platinum Finish Cantilever Arms with PU Pads. Platinum Finish Aluminum Base with Dual Wheel Carpet Casters.